A quick AGM is always a good one, so dont miss out on an overview of where the club is at and voting in of a new committee. All positions are open and we always welcome new peoples ideas &support. 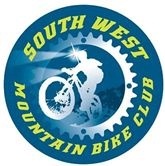 We plan to embarke on some changes in the months ahead including mid week rides, monthly club events and fortnightly rides to various locations in WA, so stay tuned for further details. A series of rides suitable for all ages and abilities through the single trails of Pile road. Free sausage sizzle including rolls and cool drinks.